Bradley W. Wood, CCFS® | The College Funding Coach Bradley W. Wood, CCFS® | Paying for college without jeopardizing your retirement! Bradley W. Wood is a Certified College Funding Specialist (CCFS®) with a primary goal of providing financial wellness education and guidance for families, corporate executives and entrepreneurs. He joined The College Funding Coach® to further focus his ability to teach parents how to pay for their children’s college education without sacrificing their ability to plan for their own retirement. Brad began his career in 2013 working primarily with graduate professionals with high student debt to income ratios. It was through this work that he created the class entitled “Solving the Student Loan Problem”, that focuses on strategies using both federal and private programs to minimize the out-of-pocket expense and total overall cost of paying down student debt for professionals with a high debt to income ratio. He teaches this class throughout the Philadelphia area, regularly working with professionals to reduce the burden of student debt and help turn future goals into a reality. He joined The College Funding Coach® in 2015 with the mission of establishing the organization’s footprint in Pennsylvania and New Jersey. Through this initiative he and his team have delivered the workshop entitled, “Little-Known Secrets of Paying for College”, to over 75 private and public schools throughout the area. The class focuses on legal strategies for qualifying for more financial aid, and leveraging assets to make money work more effectively and efficiently – in the end reducing the total cost of attendance. Brad provides workshops each year for thousands of families and regularly meets with parents face-to-face to both quantify the costs of paying for college and provide guidance in identifying strategies to make college more affordable. Brad is a member of the Association of Certified College Funding Specialists, ACCFS. 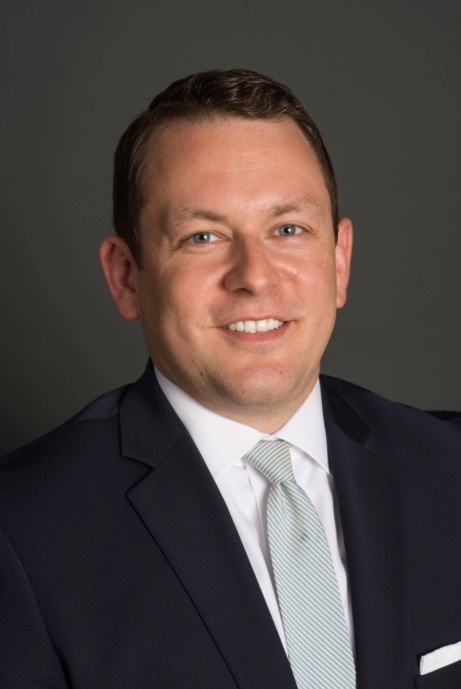 He is also a member of the Pennsylvania Association of College Admissions Counselors, PACAC, and serves on both the Government Relations and Secondary School Counselor Committees. He is a member of the Pennsylvania School Counselors Association, PSCA, the New Jersey Association of College Admissions Counselors, NJACAC, and the New Jersey School Counselors Association, NJSCA. Additionally, Brad will be a highlighted speaker at the NJSCA 2018 Fall Conference where he will be speaking to school counselors about the importance in educating families on strategies to be financially prepared to send their children to college and the potential pitfalls families typically face when they are not prepared for the financial burden of paying for college. Brad was born and raised in Kansas City, Missouri and attended Drexel University. He and his wife, Nicole, currently reside in Newtown, Pennsylvania. In his free time, he enjoys spending time in Ocean City, New Jersey and going to the beach with Nicole and their dog, a Keeshond, named Jedi Maximus.